You liked the picture of the pizza I made the other day, so I decided to write a recipe although Internet is filled with them. 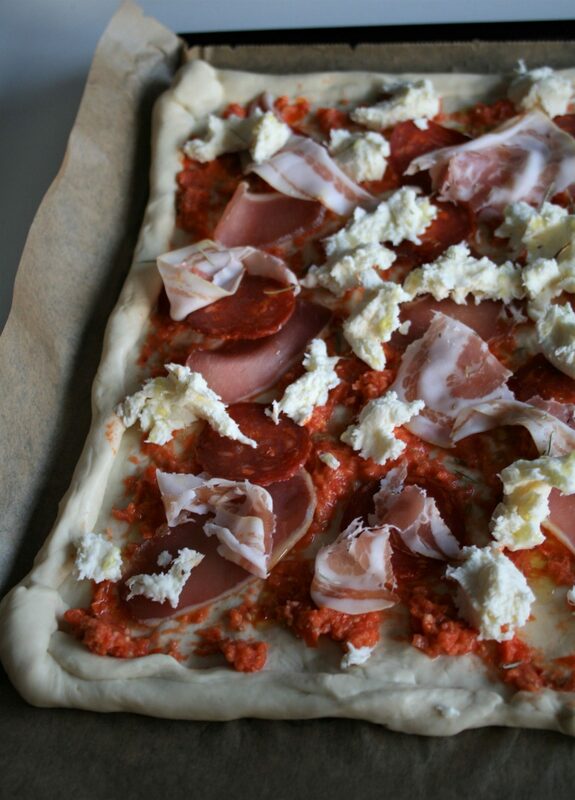 This is a recipe for a classic pizza, with dough made from wheat flour, home made tomato sauce and different cured meat. Actually this is a pizza he likes, I prefer the classic Napolitana, just a dash of tomato, basil and mozzarella. See, I think pizza should be a harmony of the dough and the stuffing, so the 7 layers ones do nothing for me. 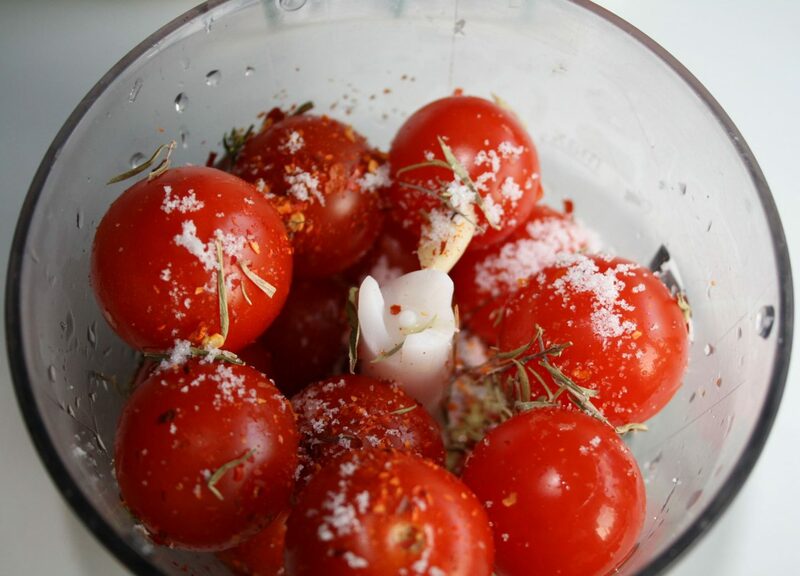 Wash the cherry tomatoes, add a good pinch of salt, pepper, chili and dried oregano, table spoon of olive oil and 1/2 tea spoon of aceto. 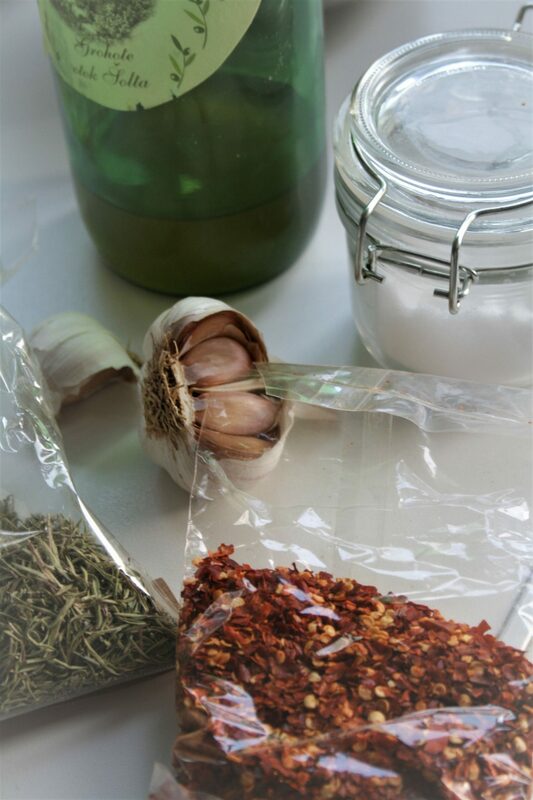 Chop it up and then strain through a kitchen towel. Mix the flour, make a well in the middle, add a pinch of salt, yeast, oil sugar and the water. 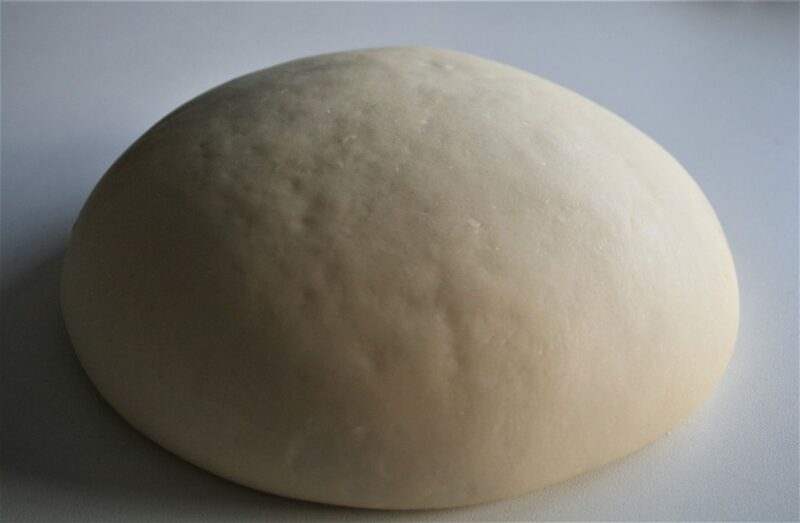 Knead an elastic, smooth dough. You can leave it to rest, or roll out straight away. Heat up the oven to 250 Celsius degrees. Smear the tomato sauce over it, lay the meats and mozzarella, then add couple of drops of a nice olive oil. Don’t over do it. Bake on bottom of the oven for 10 minutes and then 5-7 minutes under the grill.